The Waterside Inn is the perfect place for an extended stay if your travels require proximity to Toronto — Canada’s largest and most vibrant city. 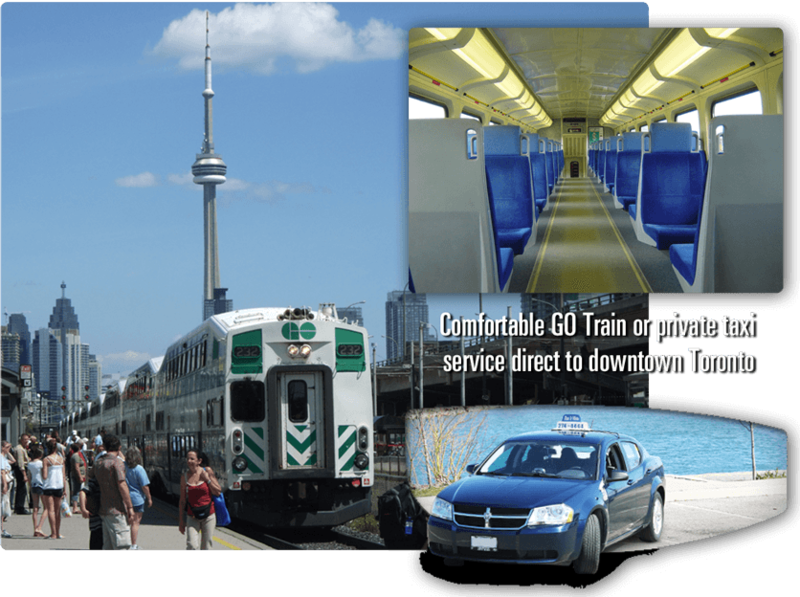 Our hotel is a short walk from the GO Train station in Port Credit. Trains run every half hour, and have you at Unon Station in Toronto in minutes. Union Station offers transit connections to anywhere in the downtown core, as well as easy access to taxis and limousines. Taxi Fare to downtown is available, at around $60 per trip. The Waterside Inn also features Mississauga’s only 4-Diamond restaurant Breakwater as well as the convenience of room service for our valued guests. Everything you need in the comfort of your luxurious suite! We love pets and allow pets under 15 pounds. There is a nominal per day additional cleaning fee when you are accompanied by your pet.